Stax Trade Centres in Manchester and Birmingham are set to play host to a visit by the RawlTruck roadshow, which recently set off on a major European tour. 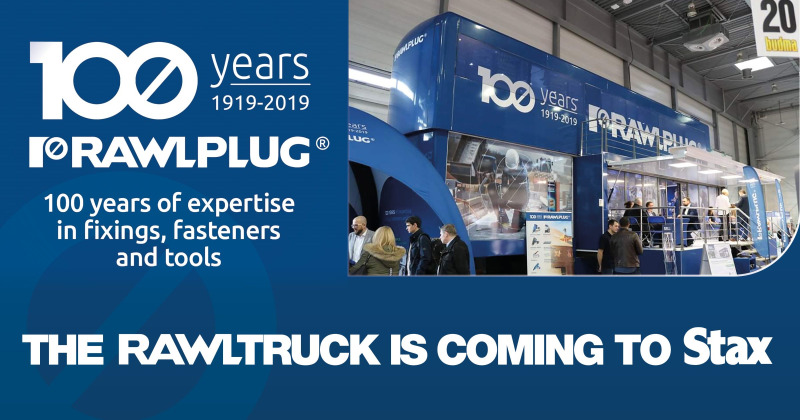 The roadshow celebrates 100 years of the Rawlplug brand, and it will be bringing a variety of live product demonstrations, discounts, on-site training and free giveaways to the Stax branches. The RawlTruck will be at the Stax Birmingham branch on Tuesday April 9, before moving on to Stax Manchester on Tuesday April 16.